Learn the basic buttons and tools of ProStitcher Premium. 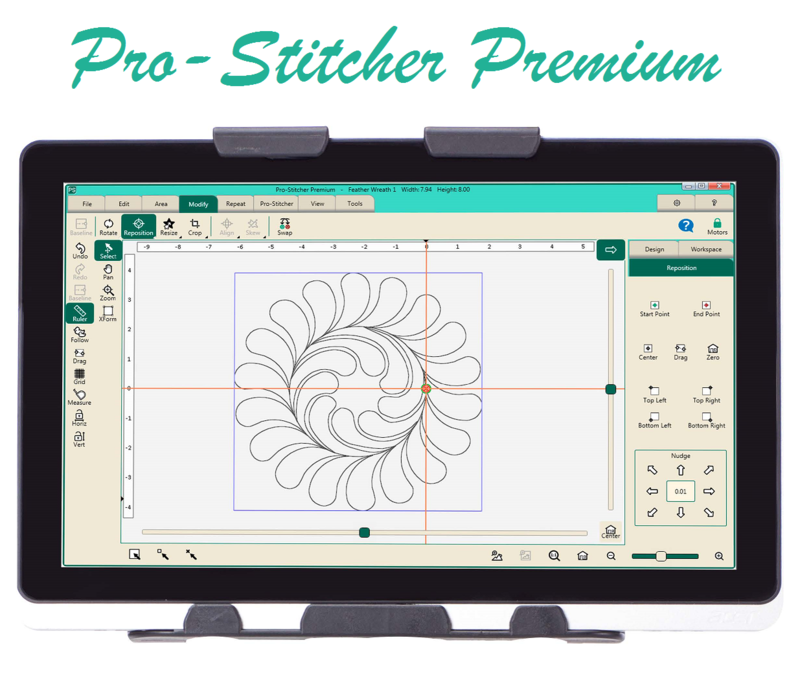 Customize Edge-to-Edge (E2E) designs on your computer to fit any quilt size and transfer the design to the ProStitcher Premium on the longarm for accurate stitch out. Please make an appointment to install the ProStitcher Premium Simulator on your laptop computer by calling or emailing Capital Quilts at least one week before class.